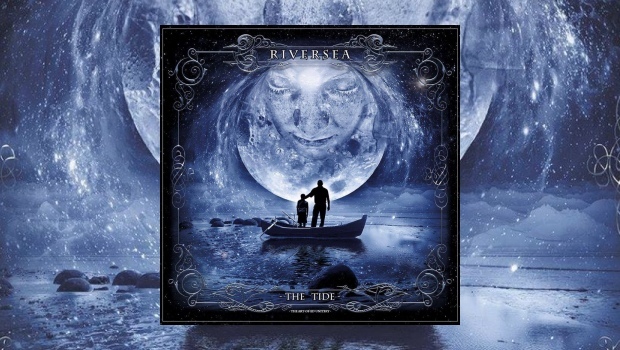 Riversea return with their first album since 2012, The Tide is a fine release of emotional maturity expressed beautifully through a skilled and sensitive synthesis of music and lyrics. It is clear that both Marc Atkinson and Brendan Eyre, the band’s songwriters, have been through some trying personal times and suffered loss. All our lives ebb and flow over the years, and as we grow older we become increasingly aware that in the end nothing or no-one can hold back ‘The Tide’ – it’s how we cope with those changes and losses that really matters. This is an outstanding and emotional opening to the album. Olivia Sparnenn Josh of Mostly Autumn gracefully backs Atkinson’s vocals and Aves shines on delicately picked guitar. However, they all have the massive advantage of playing affecting music beautifully composed and arranged with precision, feeling and skill by Brendan Eyre. This is not an album of epic soundscapes or incredibly ornate and complex music – this music is so much more restrained and subtle. Sometimes Less really is More. Solos are relatively brief and are there to add emphasis or feeling rather than to demonstrate technical virtuosity. Throughout Eyre arranges the songs so sensitively and effectively. In contrast to the opener, Riversea flow down a more rock oriented path on Shine, with its strange pulsing sounds. Atkinson shows his versatile voice with a much more rock inflected vocal, which gives way to softer harmony vocals for the coda. The song alternates between a restrained and sinister throb into the more dream-like floating ‘jigsaw pieces’ refrain. Lee Abraham, now of Galahad, excels with his trademark soaring but restrained guitar sound. Eyre has revealed that the guitar players were carefully chosen for each song, according to the feel that they wanted for that song – Abraham is perfectly suited for the guitar embellishments on Shine. “If God can’t save us from his followers, How do we save us from ourselves? The song concludes dramatically with harp-like sounds and a great building guitar part from Paul Cusick over swirling keys and string effects, all underpinned skilfully by Alex Cromarty’s finely judged drums. “Who are the ‘bad’? Who are the ‘good’? Who are the ones misunderstood? The link with the subject matter of Blasphemy is unmistakable – this is a strong song about important matters. There is real power in the restrained manner in which the piece is composed. Riversea also show great judgement in the impeccable choice of the guitarist for Strange Land – Simon Godfrey’s soulful, climbing guitar line is distinctive and emotional, and in perfect keeping with such a sad subject. Similarly, the choice of Cosmograf’s Robin Armstrong for an intense and emotive guitar part on Your Last Day is an inspired choice. Earlier in the song Eyre also excels with a sinuous and sparkling synth run to compliment Atkinson’s delicate and heartfelt vocals. 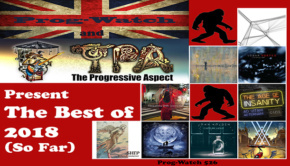 As something of a counterbalance, musically and thematically, to some of the more melancholic pieces on the album, The Design has a lighter jangling, chiming and optimistic feel, underpinned by Dave Clements deftly played bass, as he does throughout the album. Marc’s sister Janine Atkinson adds lovely backing vocals, as she does on three others, to this spiritually positive song. The finale of the album, Uprising, returns us to world events as it was inspired by the Russian invasion of Ukraine. Lee Abraham shows his versatility on guitar with an acoustic opening and a restrained but typically soaring electric guitar part towards the end. Tony Patterson, with whom Eyre combined so beautifully on their great joint 2014 album, Northlands, adds a mournful flute and the harmony vocals in the coda have echoes of Clannad. This album is dedicated by Brendan Eyre to his father, Richard Eyre, whom passed away during the period of recording. Eyre writes so well in the minor key and this is shown most elegiacally in To Those That Are Left Behind, which is arranged with great sensitivity and emotion – Atkinson sings it perfectly. The Tide Reprise ends this wonderful album to aptly bring us full circle – the Tide always returns. None of us can hold it back. We are all subject to the ebb and flow of life and death… as I began, it’s how we cope with those changes and losses that really matters. In this album Marc Atkinson and Brendan Eyre have produced a beautiful, resonant and at times brave album – maybe part of it may have helped them cope with the changing Tides of life. It will certainly provide great food for thought and some solace for listeners. Whatever one’s thoughts on the underpinning emotions, musically and lyrically this album is sheer class, and one of the best releases of 2018 so far.